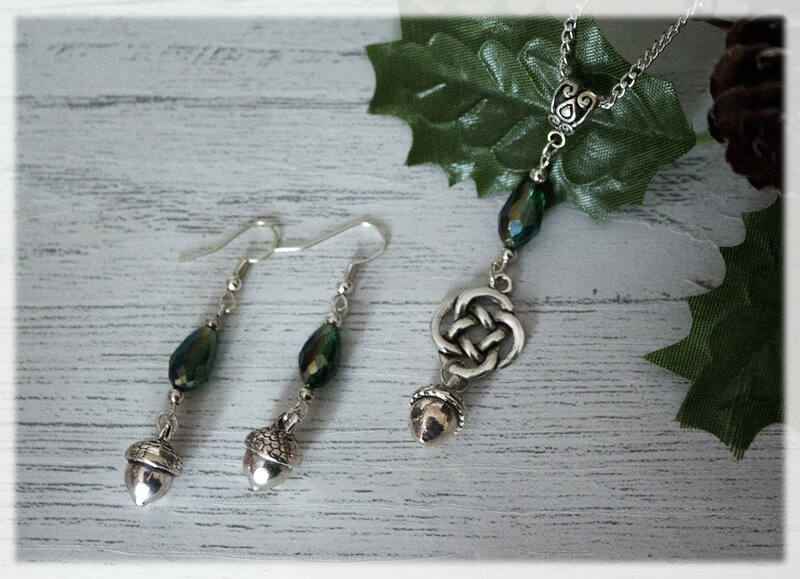 Enchanting antique silver toned Acorn pendant necklace and matching earrings, hand crafted in my magical faery studio. 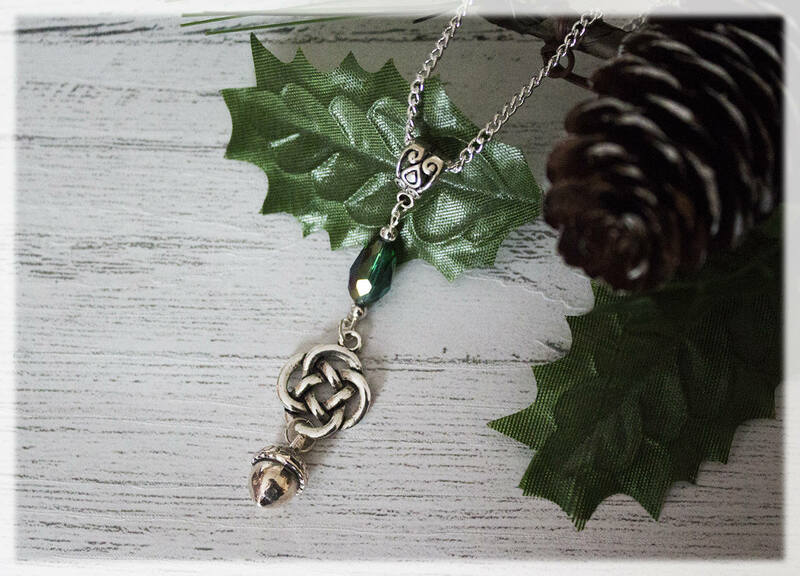 This magical acorn inspired necklace and earring jewelry set, features a beautiful antique silver Celtic Knot charm and a silver tone 3D acorn pendant and matching acorn charm earrings! 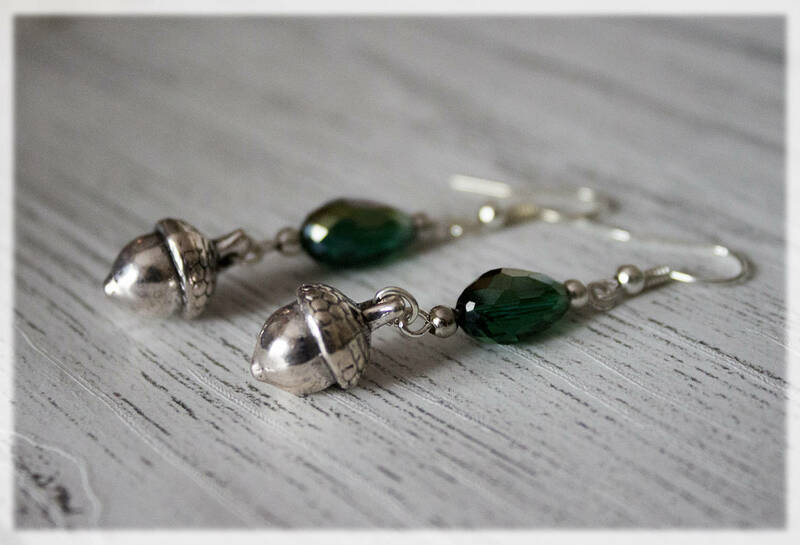 They are adorned with beautiful green teardrop glass beads, that show shimmering colours in the light, and antique silver findings. ~The necklace is made from antique silver plated with a 12mm Lobster Clasp. Total chain length (Approx) 18"
With matching antique silver findings and green clear beads. Inspired by my love of The Oak Tree and it's Acorns, faeries and nature. Keep this little acorn close to your heart with the love and wishes of the fae folk. 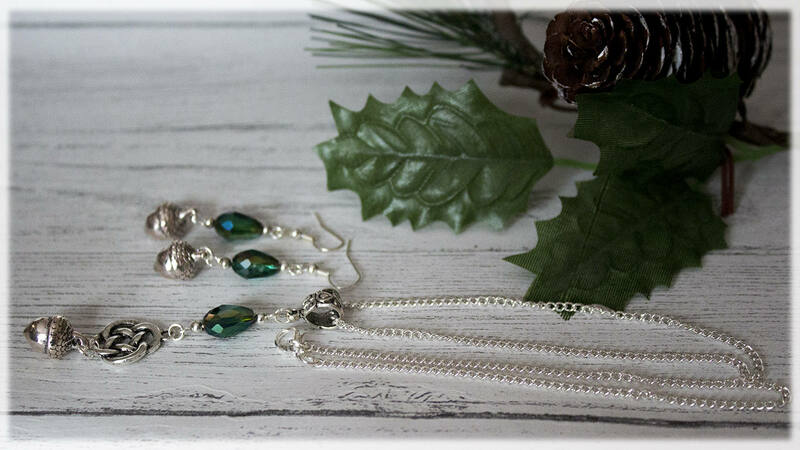 Your magical necklace and earrings will arrive gift wrapped and in a lovely organza bag. It will also be carefully wrapped in bubble wrap to secure in transit. Great as a gift for a faery fan or to treat yourself with an unique jewellery set!